Removing the turbo on a 924 Turbo requires removing the rear half of the exhaust. Removing it provided new information on the cars history, and more news. 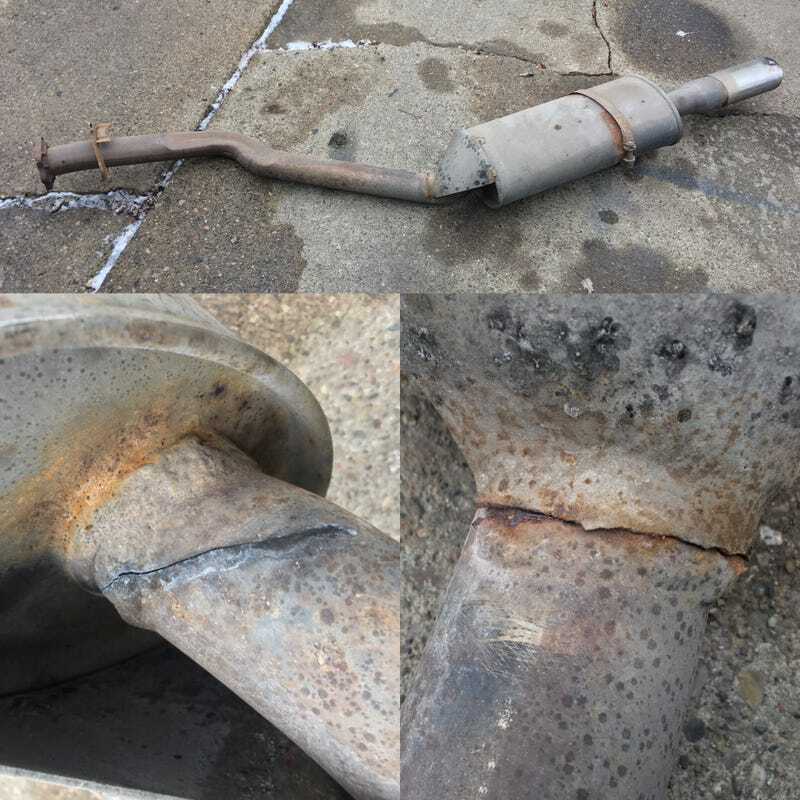 Someone definitely replaced the original rear half with a 944 Turbo exhaust, and that exhaust has a crack before the muffler welds, and broken welds at the muffler supports (bottom left and right pics respectively). My options are as follows, re-weld, brazen or whatever someone does to fix this sorta stuff, or hack off the muffler and weld in a freer flowing muffler. Oh well. Gonna see if I can finish removing the turbo tonight.